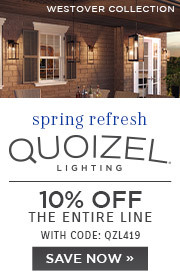 Enter Coupon QZL419B in your cart. 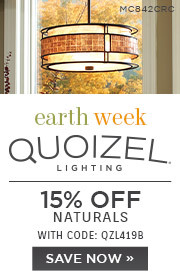 Save 15% on Quoizel Naturals From 04/18/19 12:00 AM - 04/24/19 11:59 PM et. Cannot be combined with any other offer or discount, including Pro pricing. Excludes clearance, closeout, replacements, & parts. Long Description: This mica piece is an addition to the Quoizel Naturals collection and features a mosaic tile stripe, which appears to be floating around a taupe mica shade. The tiles have a coppery shimmer for an added touch of elegance. 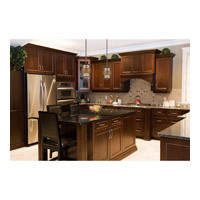 It provides a warm and inviting accent for most any home. Q What is the minimum height this must be hung? 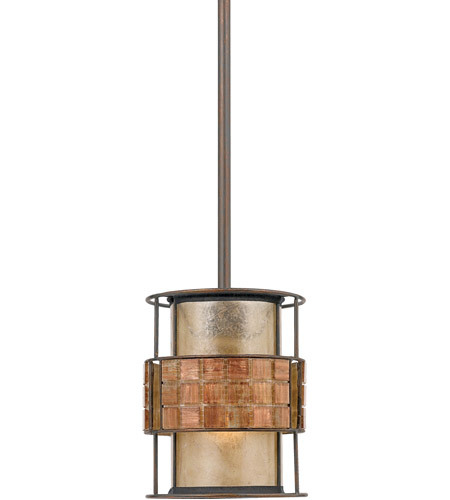 A The Quoizel Lighting Laguna 1 Light Mini Pendant MC842PRC must be hung at a minimum of 16" using one of the supplied downrods. Q can i buy longer down rods? Q What is the actual width of the light fixture? Is the inside shade 6" wide or the shade plus the tiles around it 6" wide? 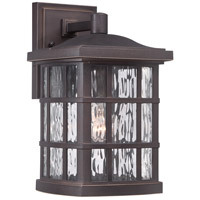 A The Quoizel Lighting Laguna 1 Light Mini Pendant MC842PRC diameter is 6" across the outer shade. Q What is the diameter of the cover plate fixing attachment to the ceiling? 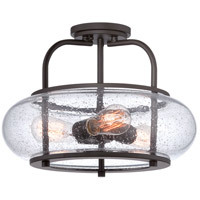 A The Quoizel Lighting Laguna 1 Light Mini Pendant MC842PRC ceiling canopy diameter is 5". 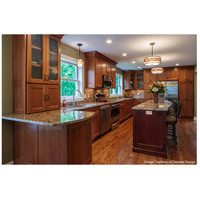 Q What is the recommended height for the distance between the island countertop to the bottom of the pendant? 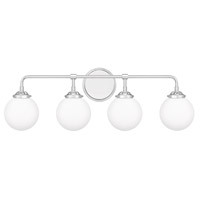 A The bottom of the Quoizel Laguna 1 Light Mini Pendant MC842PRC should hang approximately 36 inches above the island countertop. Q Is the downrod on a ball fixture so the light can be hung on a sloping (vaulted) ceiling? 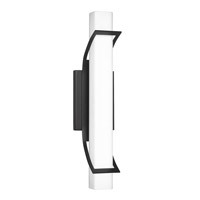 A The Quoizel Laguna 1 Light Mini Pendant MC842PRC has a swivel on the ceiling canopy, so this fixture can be hung on a sloped ceiling. Q For the minimum distance from the ceiling, is that 16 inches including both downrod and the pendant itself, or is that the length of the downrod alone? 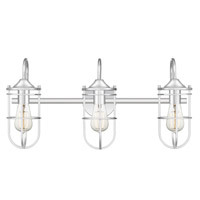 I'm considering these for a hall with an 8-foot ceiling. 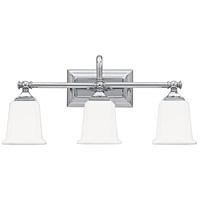 A The Quoizel Laguna 1 Light Mini Pendant MC842PRC comes supplied with (2) 6" and (2) 12" downrods. The minimum height of 16" is the height of the fixture, plus a 6" downrod and the ceiling canopy.